The essays in this book are a good companion to understanding philosophy and philosophical reasoning. The diversity of topics reflects a multi-faceted mind capable of viewing the philosophical landscape, at times with an eagle’s eye, at times with an ant’s firm and determined struggle to reach to an end, no matter how many detailed and elaborate steps it may take. Prof. N.G. Kulkarni was a scholar and teacher of Philosophy and contributed significantly to the intellectual force within academia. His sharp analytic mind, coupled with the humour and interests that ranged from literature to ethics and socio-political philosophy, has enthralled a number of students and faculty from all walks of life. He retired as Head of the Department of Philosophy, KJ Somaiya College of Arts in 1991 and was a much revered visiting faculty at the Department of Philosophy, University of Mumbai. This collection of Prof. N.G. 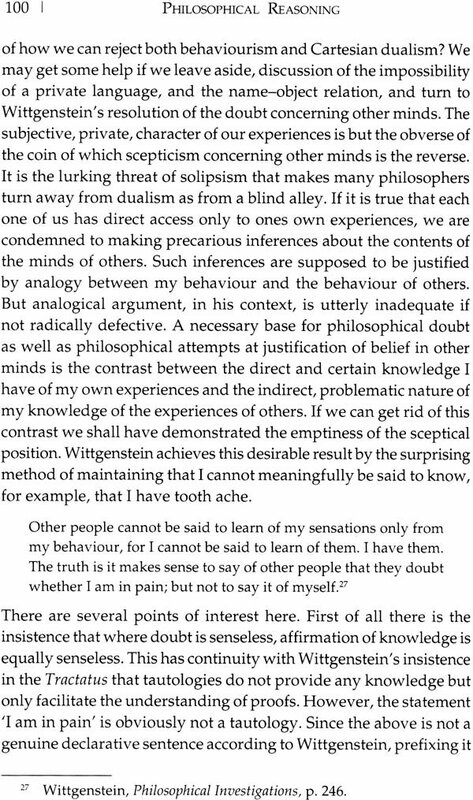 Kulkarni's writings indicates a landscape of philosophical problems and reasoning towards an understanding of philosophical arguments. Like most philosophers Prof. Kulkarni's reflections also shaped his beliefs about fundamental notions like mind and body, truth and logic, reason and morality. His thoughts seem to move in both directions: the minute details and consequences of philosophical theses as well as the big picture, as it were, in terms of connecting the diverse themes of one's philosophical world. 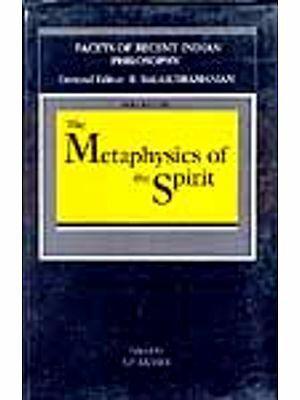 The book is divided thematically into four sections: Metaphysics; Language, Truth and Logic; Ethics and Religion; and Indian Philosophy. "Metaphysics" deals with classic debates ranging from Kant's critique of metaphysics, moving through Bradley's coherence theory of truth and the problem of universals and sense-data as well as problems of person and personal identity. "Language, Truth and Logic" surveys analytic philosophy and its main assumptions, and discusses the importance of logic and language that characterizes a significant part of the twentieth century and indeed shaped and continues to shape the twenty-first century. Issues in "Ethics and Religion" explore crucial ideas of freedom and violence, in addition to the meaning of the religious and the moral life. "Indian Philosophy" showcases his scholarly writings on Nyaya and Yoga as well as concepts in Jainism and Buddhism. This volume should be of great interest to not only students and teachers of philosophy but also across disciplines. Anyone interested in understanding what philosophy is all about will learn one more way of thinking and doing philosophy. Geeta Ramana is Associate Professor at the Department of Philosophy, University of Mumbai, India and teaches analytic philosophy and consciousness studies. Her research interests include classical and contemporary issues in Indian and Western philosophical traditions, philosophy of language and mind and interdisciplinary interfaces in consciousness studies. She publishes in academic journals apart from guiding research students for the M. Phil and Ph.D. programmes. Her book, Human Action, Consciousness and Problems of Representation, has been published by the Oxford University Press, April 2014. Professor N.G. Kulkarni was an important philosopher of contemporary India who made significant contributions to the tradition of analytical philosophy. For him philosophical analysis was not just an academic movement to be studied, but a way of thinking to be practised. He saw it as a methodological apparatus to be applied to any philosophical issue arising in Western or Indian contexts. Though Prof. Kulkarni was a man of reason, he might not have liked to call himself a rationalist in the popular sense of the term, as pointed out in the 'Introduction' to the section on 'Indian Philosophy', by Prof. Shubhada Joshi. Though he was a secular thinker and always disfavoured other-worldly metaphysics, he was not an extreme materialist. On the question of the existence of God, he was an agnostic, 'a timid fence sitter by definition', as he describes himself. However, his agnosticism was not a mark of timidity, but helped bolster his credentials as a philosopher. He preferred to 'sit on the fence' because he saw dangers on both the sides and correctly did not fall prey dogmatically to either the believer's or the disbeliever's side for any convenient or 'pragmatic' reason. To battle constantly with dogmas and remain in a state of enlightened ignorance and uncertainty require a different kind of courage which he had. In this sense he lived a life worthy of a philosopher. Among the ancient Indian philosophical traditions, early Buddhism attracted him the most. Prof. Kulkarni was so fascinated by some of its insights that he praised the Buddha as jagad-guru. Yet he did not become a Buddhist, which makes him a true philosopher. He was fascinated by Russell, Wittgenstein, Dummett and many others, but refrained from becoming their camp-follower. He was always concerned centrally with the arguments, not the arguer. He paid respect to all philosophers by critically analysing their arguments and hence though he honoured them all, he did not idolize any. This collection contains a range of articles from highly technical ones such as those on many-valued logic, to the less technical but socially more relevant articles such as 'Freedom and Violence'. It contains a few articles giving a lucid exposition of the field of inquiry under consideration, for example, the article surveying 'Philosophical Analysis' and the one on the 'Definition, Nature and the Scope of Ethics'. 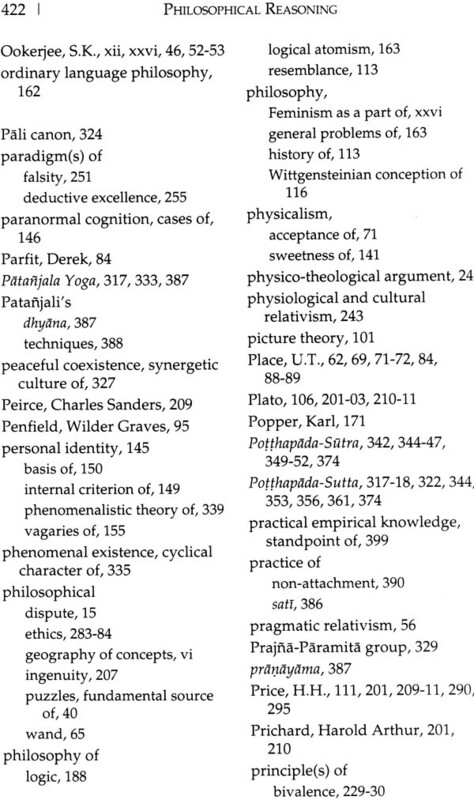 But most of the other articles in this collection are argumentative, and not expository in character. In his argumentative writings he is not always a 'fence sitter'; in most cases he is a traveller, who takes his reader on an intellectual journey, to reach a destination through arguments and counter-arguments and also help the reader to look beyond the destination and enlarge one's own horizon. In some articles he takes the reader up to a dead end and indicates how the route does not lead to the destination and how one has to take some other route. Sometimes it is as if he were shepherding the reader safely through a jungle, battling the dangerous implications of theories behaving like beasts, or skirting the treacherous slopes of fallacies. In any case the reader finds the intellectual journey revealing as it enriches her knowledge about the philosophical geography of concepts. Despite Prof. Kulkarni's sustained involvement in critical argumentation, he never resorted to negative polemics or vitanda, as his arguments always had a constructive character. He offered a critical examination of different views as a means of expressing his own philosophical standpoint or inclinations. Prof. Kulkarni takes definite stands on different philosophical issues. Thus he argues that F.H. Bradley did not succeed in bringing out a paradox or contradiction in accepting relations. Against the coherence theory of truth he argues for the existence of belief- independent facts. He argues against the physicalism of Carnap and other positivists. But he does not adhere to Cartesian dualism or to Idealism. Here his position seems to be sympathetic to the Buddhist dualism of bodily and mental strands (rupa and nama). Sometimes he is ready to accept the causal dependence of mental phenomena on the brain, but he is critical of Searle's position that mental phenomena are just features of the brain. He is ready to accept the brain-mind identity theory in some form, but not in every form. For instance he does not accept Armstrong's view that the brain-mind identity can allow the logical possibility of a disembodied self. His position (to put it simplistically) appears to me to be a via media between Buddhism and Carvaka. He appreciates A.J. Ayer on the question of personal identity, which for him cannot be based either entirely or primarily on bodily continuity. He also raises doubts about memory as a criterion of personal identity and expresses dissatisfaction regarding the Buddhist conception of personal identity which reduces the self to a causal series of states of consciousness. Prof. Kulkarni's writings contain his clear positions on major logical and epistemological issues. He criticizes for instance, the behaviouristic analysis of attitudinal propositions. On the question of the traditional definition of knowledge, he claims that Edmund Gettier's counter-examples do not make a serious threat to it, though the threat of infinite regress to the concept of empirical knowledge remains. 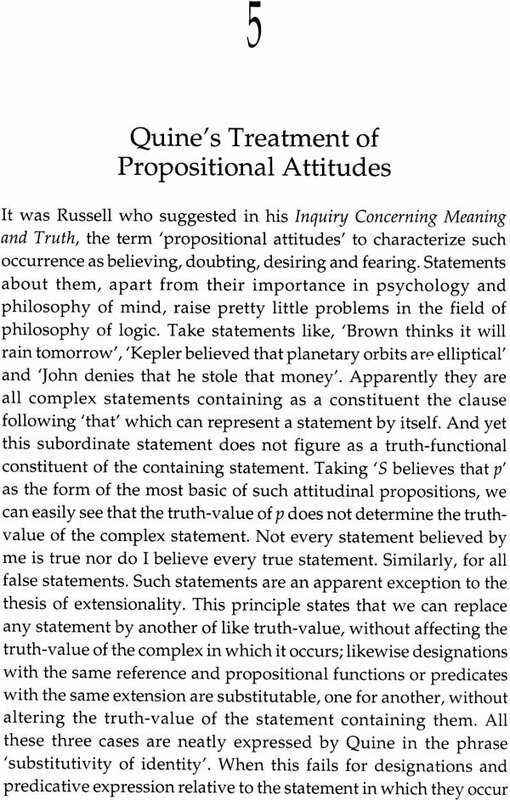 On the question of truth he criticizes both 'sentences' and 'propositions' as valid candidates of the ascription of a truth-value and regards 'beliefs' to be the proper candidates, as also found in the early writings of Bertrand Russell and G.E. Moore. Moreover, he supports correspondence theory of truth as against other theories. Having explained and discussed three different forms of relativism, he argues for his rival view that there are belief-independent facts which we can ascertain by agreed procedures. To dispense with a world independent not only of our hopes and fears but also of our beliefs and disbeliefs is to invite disaster. He questions Putnam's proposal of constructing an alternative logic for Quantum Mechanics, which jettisons the distributive law. 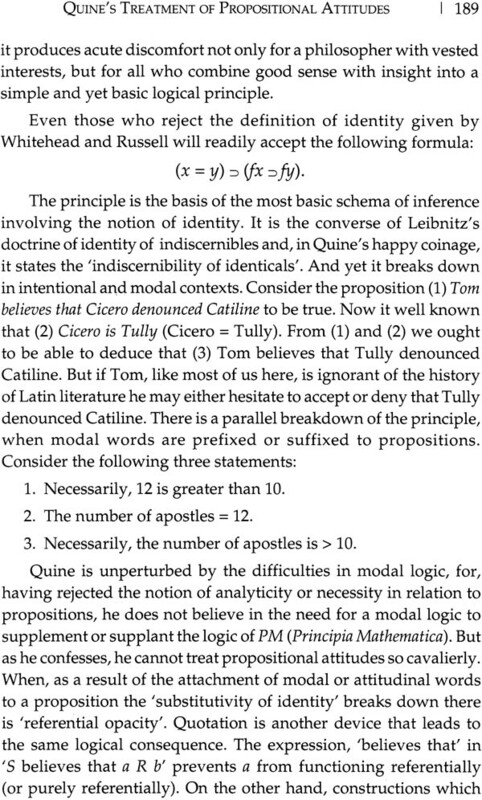 While discussing Dummett's theory of meaning, he also deals with the question of alternative logics and comments that they supplement, rather than supplant the simple and yet universally valid classical logic. In fact, he is critical of alternative logics in general. For him, to reject logical principles to solve problems such as future contingent statements and the indeterminacy principle is to go about ones business like the fictitious Chinaman described by Charles Lamb, who burnt down his house to roast his pig. Through some of his articles on morality he underlines the role of universalizability, impersonality and anti- authoritarianism in moral judgement and moral life. Prof. Kulkarni was greatly fascinated by early Buddhism most, probably because of its analytical approach. One of the simplest but not easiest parts of the analytical method is separating issues, not mixing them up. What Prof. Kulkarni deeply appreciated in the Buddha was his separation of the existential problems of human life - those of human suffering and emancipation - from the metaphysical problems. The Buddha's attitude towards the so-called unanswerable questions (avyakrta-prasnas) becomes his central analytical concern. 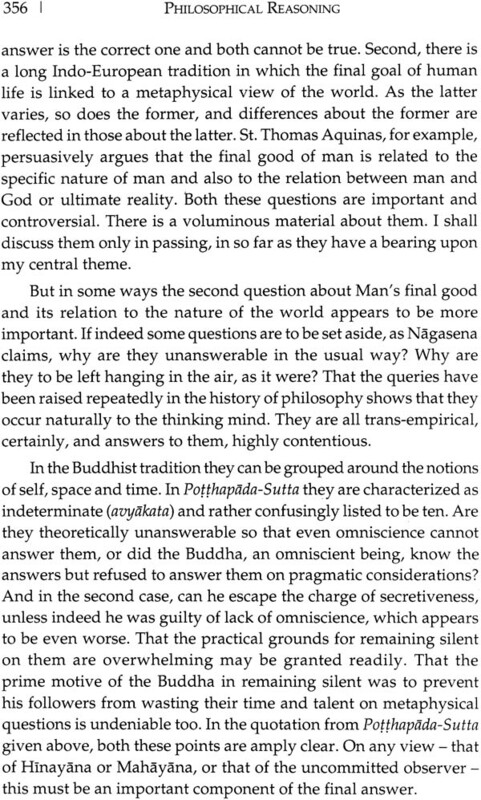 Prof. Kulkarni maps the pragmatic as well as deeper theoretical grounds for the Buddha's silence on such questions. He also appreciates the Buddha's ethical approach. 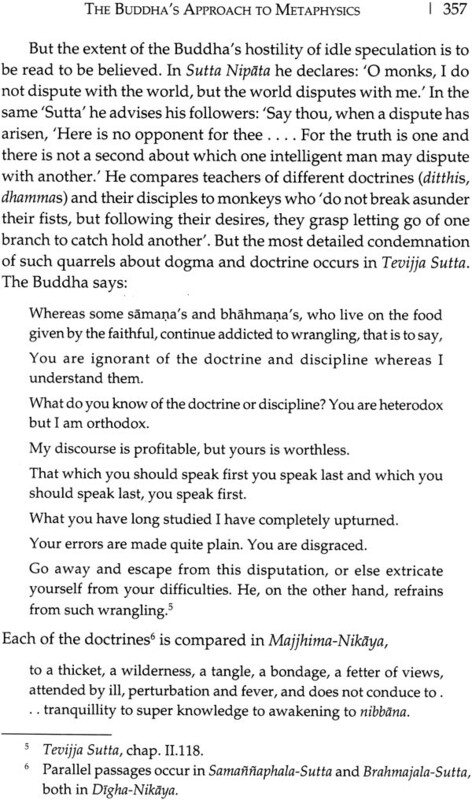 He finds in Buddhist ethics an egalitarian, liberal and non-authoritarian attitude. Prof. Kulkarni also has certain reservations about some Buddhist theories, such as those of momentariness and personal identity. He makes a short but striking comparison between the Buddhist path towards emancipation and Patanjali’s Yoga. 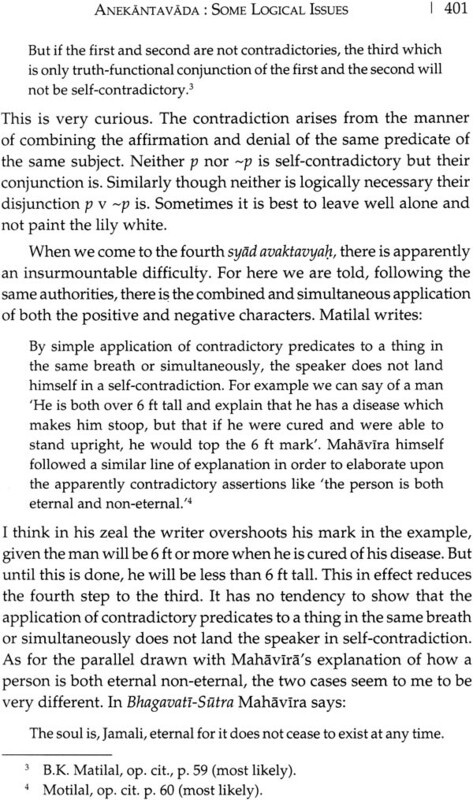 In the paper on the concept of sthitaprajna, titled, 'The Ideal of the Sthitaprajna: Some Platitudes and Some Paradoxes', Prof. Kulkarni gives an interpretation of the Gita, centering on karma-yoga, which according to him can stand without metaphysical presuppositions of God and karma and is implicit in other forms of yoga as well. I have given above just some specimens of his views in a rather simplified form. The interpretations and arguments Prof. Kulkarni proposes are definitely exciting, thorough and strong. They are based on his vast reading, analytical grasp and philosophical imagination. Nevertheless, it is possible that a critical reader may disagree with some of them. In fact, Prof. Kulkarni would have welcomed such disagreements. Just as he honoured philosophers by ana lysing and examining their arguments, the proper way of paying tribute to him would be to continue the debate over the issues discussed by him. Dr Geeta Ramana, his student and colleague, has done a good service to the cause of philosophy by compiling his papers and creating an opportunity for a meaningful critical engagement with the themes he has explored and the arguments he has advanced. NGK as Prof. N.G. Kulkarni was fondly known was a strong intellectual force in the academic circles of college and university life. He was a man of few words but clear opinions. Many will remember him as an energetic participant in the meetings of the Bombay Philosophical Society as well as a visiting faculty at the Department of Philosophy where he taught postgraduate students. 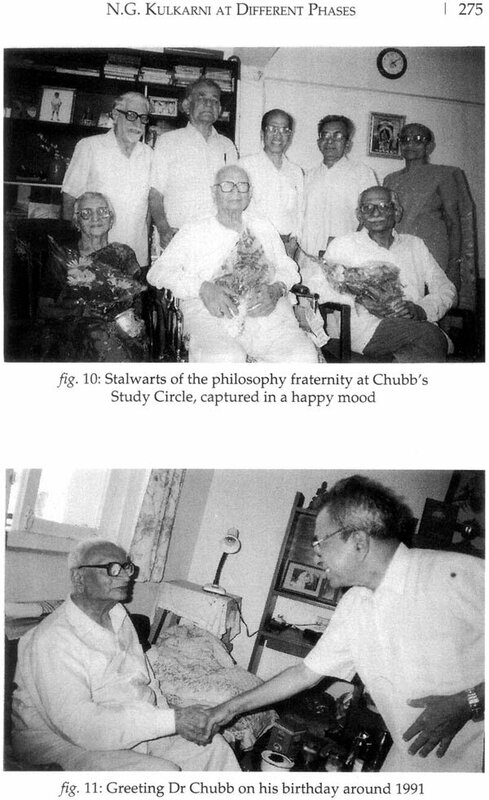 Indeed faculty members too loved to attend his lectures and it is indeed my privilege, as a student of Prof. Kulkarni as well as faculty at the Department of Philosophy, University of Bombay, to be able to contribute to the preservation of decades of his reflections on philosophy. Several papers of Prof. Kulkarni have been collated to present them under four themetic sections: Metaphysics; Logic, Truth and Language; Religion and Ethics; and Indian Philosophy. These reflect his journey from early to later interests, as Prof. Pradeep Gokhale has observed, and which I also adopt. 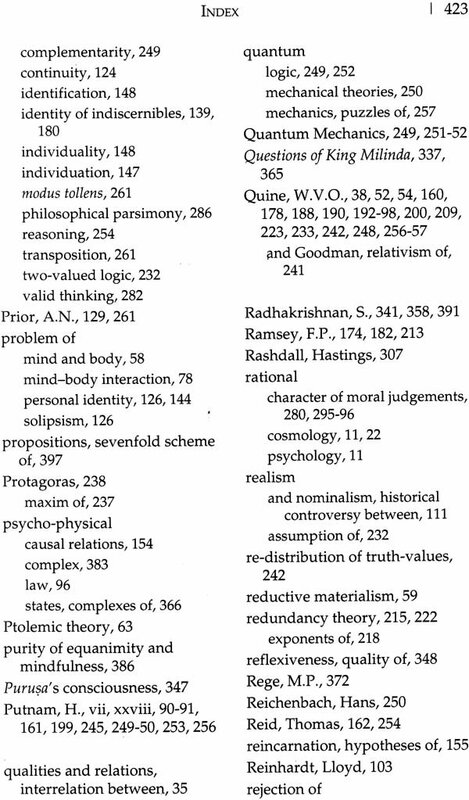 I hope that the 'Introductions' before each section help in mapping important philosophical issues that continue to be of debatable interest in the diverse areas of academic philosophy. Most of the writings in this collection are from his articles earlier published in philosophical journals and magazines, as well as papers presented in seminars and conferences. 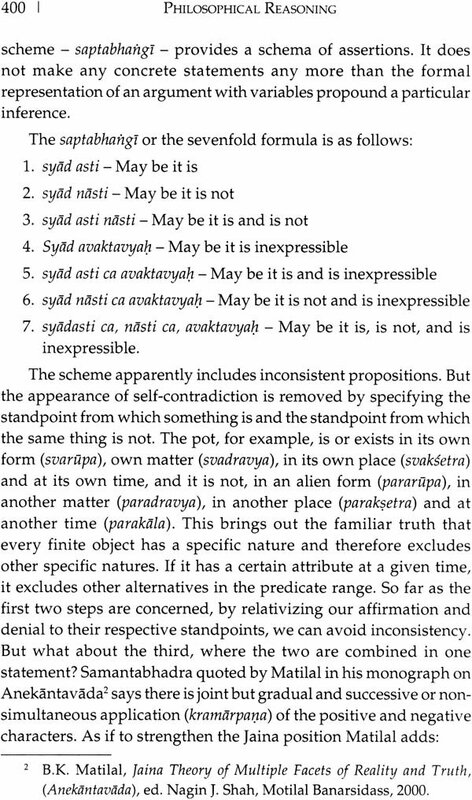 Unfortunately one is not able to completely vouch for the exact edition or year of a particular reference, since Prof. Kulkarni continued his passion for philosophical reflection in the older, more orthodox fashion of thinking without paying too much attention to exact referencing details and concentrating more on content than form. I have however provided detailed information of sources as available on the internet, J.N. Library, University of Bombay and from his personal collection, for the benefit of readers and scholars who may retrace for more accurate references. This book is also unusual in bringing out not only the thoughts of a sound academic philosopher who understood the demands of the contemporary socio-political world and the need for situating traditional ideas in them, but also the thinker as a person and a good honest man of integrity. Reminiscences by son, Sudhir Kulkarni and wife, Mrs N.G. Kulkarni, Dr S.K. Ookerjee, Prof. Rita Doctor, have made this a memorable edition for all those who respected and loved 'the teacher who taught without teaching'. It has been a matter of serendipity to have discovered that the late Prof. S.K. Ookerjee had indeed penned his thoughts as soon as we requested him to contribute to this collection of essays. 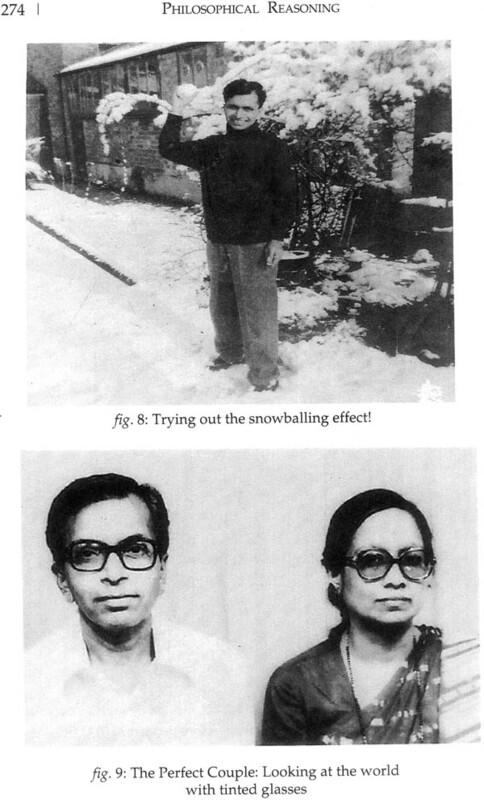 His observations truly offer an insightful glimpse into the nature of Prof. Kulkarni's very versatile mind. The essays in this book are a good companion to understanding philosophy and philosophical reasoning. The diversity of topics reflects a multi-faceted mind capable of viewing the philosophical landscape, at times with an eagle eye, at times with an ant's firm and determined struggle to reach to an end, no matter how many detailed and elaborate steps it may take. If this edition helps readers understand the nature of philosophical problems then indeed our efforts shall have truly contributed in taking forward the legacy of Prof. Kulkarni and there can be no better tribute to this extraordinary teacher, philosopher and human being. 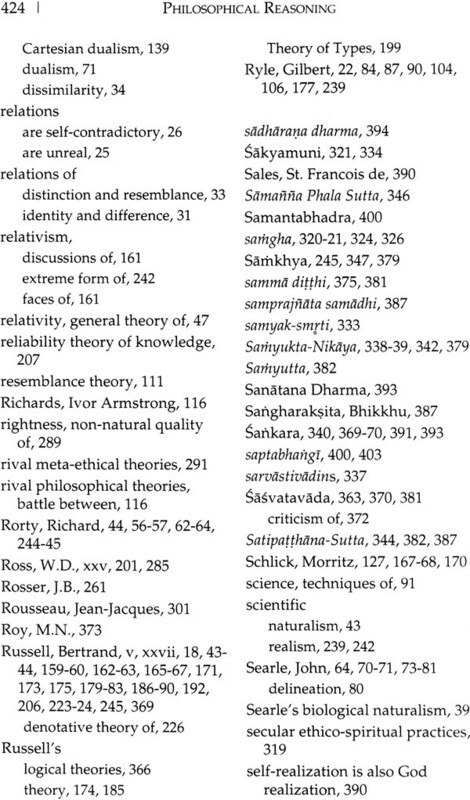 The first three articles, 'Kant's Critique of Metaphysics', 'Bradley's Anti-relational Argument' and 'The Return of Coherence' draw on the difficulties of moving away from transcendence on the one hand and keeping a hold on the nature of internal relations that provide the grounds for a coherence theory of truth as well as an idealist metaphysics. Prof. Kulkarni deftly critiques this very assumption by bringing out the lacunae in Kant's antinomies as well as Bradley's argument based on the internality of relations. He begins by sketching briefly Kant's critique of 'metaphysics' which cannot be separated from his critical philosophy. Interspersing the idea of the infinite in Indian philosophical literature, he lays bare the antinomy of time as having a beginning and an end; limited as well as endless. Kant, of course, refutes both the thesis as well as the antithesis and without a satisfactory definition of an infinite series. Prof. Kulkarni feels that he begs the question at issue. In discussing the strange idea that a series can have an end but no beginning, he describes this as a feeling of 'being tricked without knowing how'. We do not have the same feeling in contemplating a beginning but no end. 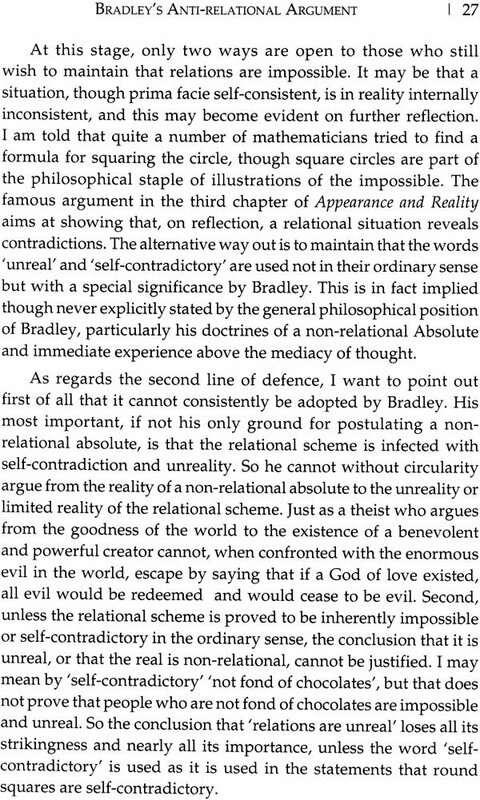 And in a theistic context, though the conundrum continues, he sides with St. Aquinas (rather than Kant) in opting for a finite world on grounds of faith. Arguments from natural theology are picked to show' a logical lacuna' in Kant's account of the relation between the ontological and the cosmological arguments', treating them as it were, in isolation from those in the 'Metaphysics of Morals'. There is a need to reconcile 'God as a postulate of morality' and 'as a necessary condition for the existence of the world' and if the former holds good God need not be responsible for the existence of the world. One has therefore really not given any new anti-metaphysical argument and we have not really been able to mute the 'transcendental' voice. Prof. Kulkarni's critique of Bradley's theory of internal relations is particularly sharp, not only because of an 'imprecise and inconsistent terminology' used by the latter, but more significantly because it does not contain any valid arguments. 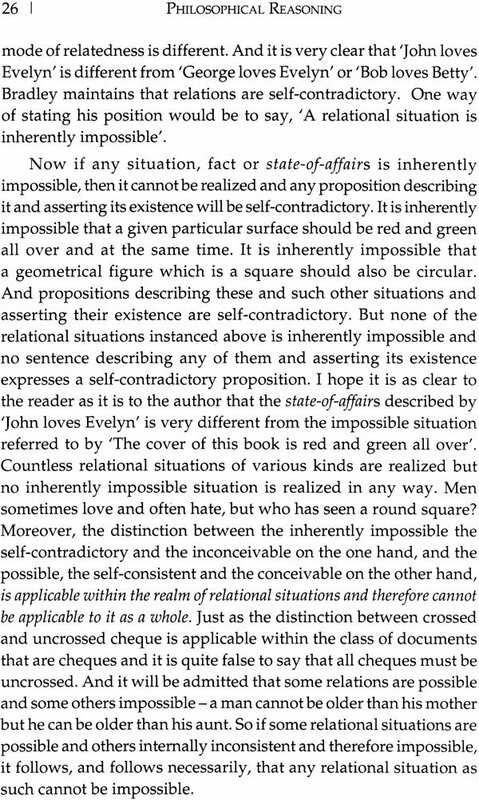 The analysis that 'all relations are self-contradictory' reveals the impossibility of such a situation (unless taken in the strictest logical sense of 'round squares'). There is an obvious circularity of moving from a non- relational absolute to the unreality of the relational structures, since one needs to prove inherent self-contradiction first to argue for the unreality of relations. It is pointed that the unfortunate use of 'qualities' instead of 'qualified particulars' compounds the confusion that is made between 'distinction' and 'distinguishability'. One needs to distinguish, for example, between a quality and the particulars that manifest it. Prof. Kulkarni deflates Bradley's 'paradox of relations' argument showing that dependency of terms on relations does not lead to any vicious kind of regress and that dependency may be either in terms of causal or constitutive conditions. Thus a fundamental flaw in treating 'qualities' and 'relations' of the same order undermines the internality of relations and brings down Bradley's grand system of absolutism. Prof. Kulkarni continues with his critique of the fundamental grounds for coherence and brings out the necessity for some form of experience in any justification for statements of truth, notwithstanding the demands of consistency and comprehensiveness. The relevance for belief - independent facts and unavoidability of transcendence in our conceptions of truth and knowledge - is a challenge and even without the need for system building, one can adjust to 'boundary conditions of experience' as Quine does. Amongst contemporary thoughts that question the scheme - content framework - Prof. Kulkarni argues for the importance of the distinction between fact and belief, knowledge and reality. 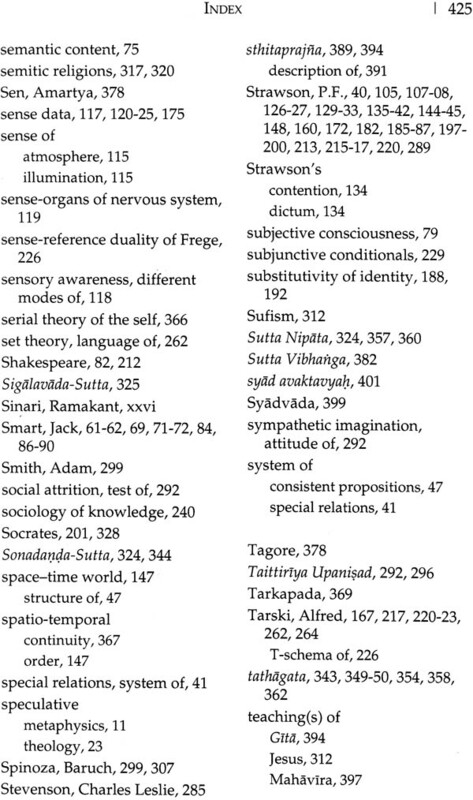 The next two articles on 'Duality and Dualism' and 'Descartes' Philosophy of Mind: Its Contemporary Understanding' trace the philosophical problem of the mind-body relation starting from physicalist and identity theory and up to Searle's biological naturalism and Davidson's anomalous monism. The arguments throughout question the attempt to obliterate all phenomenological and thereby occurential accounts of experiences. It is pointed out that in fact even Dennet's philosophically heroic theory that converts all 'hard' problems of consciousness into 'soft' problems, needs to work out the 'dividing line' between the conscious and the preconscious in brain events. Further our judgements most often go far beyond the given. We still have no reasonable way of accounting for this purely on either physicalist or computational metaphors. Even Searle's brilliant thesis that takes the causal problem by its horns is deemed unsatisfactory as the problem of relating two distinct kinds of properties at the micro and macro levels remains, notwithstanding the observer-related dimension at the macro level. 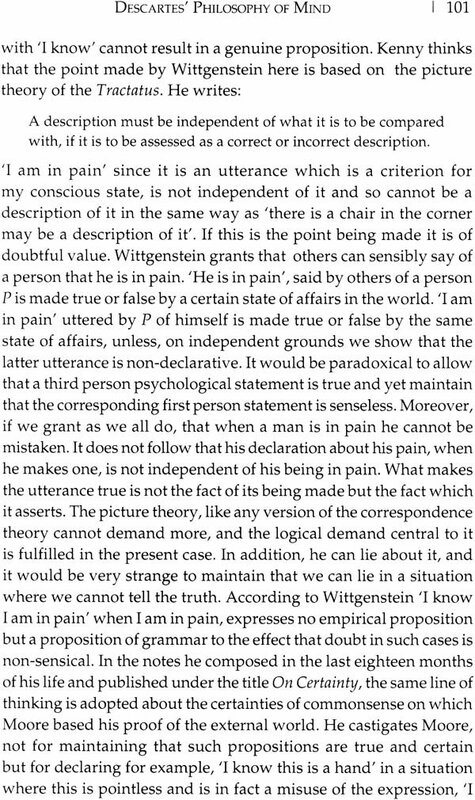 In a sub-section titled 'Beyond Behaviourism' Wittgenstein's arguments are analysed in great detail to show that 'they ultimately rest on a general scepticism concerning memory' and the motive in using ordinary language to recast or rather 'serve' ones philosophical purpose should be suspect. Wittgenstein's notion of family resemblances is taken up next in 'Universals and Family Resemblance', Prof. Kulkarni remarks with insight that contrary to the general perception, Wittgenstein 'does not really leave everything as it is'. For example, the real problem with universals is not just the denial of essences over and above things being red nor the nominalist motivation in 'games have nothing in common except that they are called games'. Rather it is Wittgenstein's assertion that 'what different instances of a certain sort have in common is just their being instances of that sort'! This is an interesting observation that fits with Wittgenstein's distaste for engaging in any sort of theoretical tensions and investigating rather the fundamental source of philosophical 'puzzles'. The problem with sense data that has occupied philosophers through centuries engages with Dr. Chubb's views on the same in the article, 'Are There Sense Data?'. In the process a very crucial and valuable point is made that one can present the problem with the relativity of perceptions without necessarily invoking either the notion of illusions or hallucinations. This means that 'one can introduce sense data without self contradiction and without errors of perception'. Now this is a remarkable move only because we cannot do away with perceptions nor negate their reality. We find Prof. Kulkarni's realist leanings in attempting to look at philosophical objects, in this case the humble tomato, as he puts it, 'in an extraordinary light'. 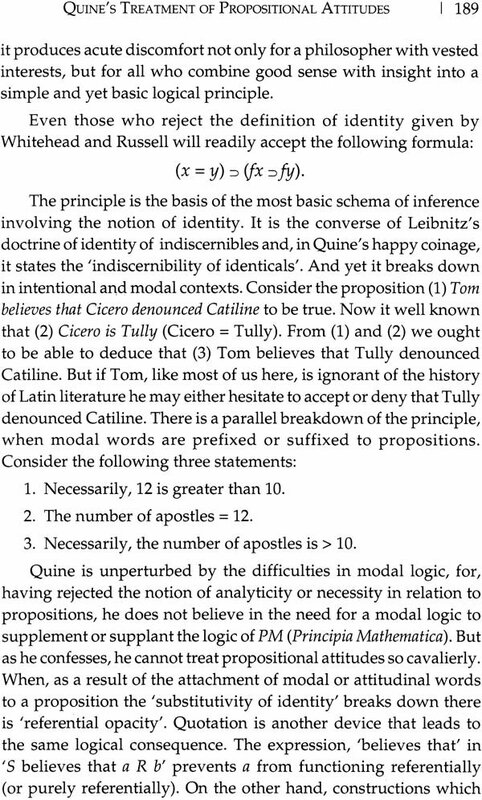 The final two articles of this section deal with one of the most discussed problems of personal identity in philosophical literature. Prof. Kulkarni, understandably, questions Strawson's traditional description of the mind-body problem as incoherent and points out that they are not self-contradictory, since we can and do discover and identify experiences. The underlying assumptions of both the Cartesian as well as the no-ownership theory depend on the sense of possession and this is the main point of Strawson's critique. Prof. Kulkarni feels that the Cartesian argument has not been addressed from the dualist standpoint. Merely asserting that one cannot ascribe experiences to oneself unless one can ascribe them to others begs the question at issue. Strawson does provide an alternative to the mind-body problem; but does the main point of access to one's own experience and its implications get taken forward? Is Strawson's dogmatism in stating an inability to form any idea of oneself as a subject of experiences, true? Indeed, these are the questions that provoke Prof. Kulkarni to say finally that replacing the mind-body distinction with the distinction between M and P predicates does not really solve the problems of dualism. In critically commenting on A.J. Ayer's arguments on personal identity Prof. Kulkarni endorses the importance of not only bodily criteria but also the need for 'the continuity of memory as a decisive criterion', given the various possibilities of dissociated consciousness and dilemmas related to multiple personalities. We see that Prof. Kulkarni's strength is in analytically dissecting grounds of arguments, bringing out their implications and indirectly establishing the very views opposed by a particular philosopher.